Realising nursing plays a vital role in hospital health care, Adventist College of Nursing and Health Sciences (ACNHS) was established in the late 90s by Penang Adventist Hospital to train nurses who won’t neglect their responsibilities as nurse. To date ACNHS has produces over hundreds of nurses who serve local and abroad hospitals. Previously known as Adventist College of Nursing changed name to Adventist College of Nursing and Health Sciences (ACNHS) in January 2011. ACNHS places importance for its nursing students to be professional and avoid being self centred which will jeopardise others and the person itself. Nursing profession requires teamwork and give full commitment. Nurses must be patience because you need to entertain all type of patients and their family members. You need to be daring to face emergency situations such as accidents. In ACNHS Diploma In Nursing uses holistic approach to meet the needs of patients, families and communities. Diploma in Nursing is a 3 years programme starting July with 2 semesters each year. Each semester consists theory subjects and clinical experience. It equips the students with hands on experiences to face the real working environment. The duration of 6 semesters , students will be taught psychology, sociology, nutrition etc. ACNHS is fully equipped with conducive learning environment; air conditioned classrooms, auditorium, exam halls etc. Students are offered loans from PTPTN and other financial organisations. Scholarships receivers will sign an employment contract with the college and will work In Penang Adventist Hospital. The scholarship receivers will also extra privileges such as uniform, free clinical shoes etc. For your information, ACNHS students are guaranteed employment with the institute. You don’t need to worry about your employment. 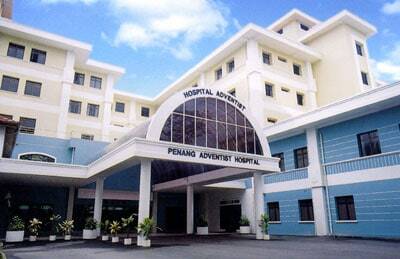 You may work in Penang Adventist Hospital or as a nurse in government hospitals, private hospitals, personal nurse etc. It all depends on your education performance and your commitment in nursing care.